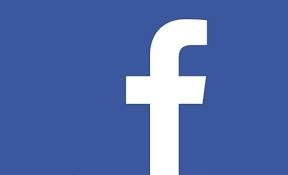 When creating a Quiztory account, or connecting your already existing Quiztory account with your Facebook account, we will also receive and store the certain information from Facebook, Inc. (“Facebook”), such as your name, user name, password, profile picture, unique Facebook identifier and access token, gender, birthday and email address. Please familiarize yourself with and use the settings in your profile, as they provide you with some options to adjust the information in your Quiztory profile that may be viewed and your activities that may be shared. Whenever you interact with the Quiztory service, we and third-party advertisers and/or service providers may use a variety of technologies that automatically or passively collect information about how you access and use the Quiztory service (“Usage Information”). Usage Information may include, in part, your browser or device type, your operating system, the page served, the time, the preceding page views, and your use of features or applications on the Quiztory service, such as history, interaction with friends and group activities, and your location (if you consent to enabling of location based services). This statistical data provides us with information about the use of the Quiztory services, such as how many visitors visit a specific page, how long they stay on that page, and which hyperlinks, if any, they “click” on. This information helps us keep the Quiztory service fresh and interesting to our visitors and tailor content to a visitor's interests. Cookies. Cookies are data files placed on a device when it is used to access the Quiztory service. Either we or our third-party advertisers or service providers may place cookies or similar files on your device for security purposes, to facilitate site navigation and to personalize your experience while visiting the Quiztory service. Cookies allow us to collect technical and navigational information, such as your browser type, time you spend on the Quiztory service and the pages you visit. Cookies allow us to select which of our advertisements or offers are most likely to appeal to you and display them while you are on the Quiztory service. If you would prefer not to accept cookies, you can change your browser settings to notify you when you receive a cookie, which lets you choose whether or not to accept it; or set your browser to automatically not accept any cookies. However, please be aware that some features of the Quiztory service may not work properly because we may not be able to recognize and associate you with your Quiztory account. In addition, the offers we provide when you visit us may not be as relevant to you or tailored to your interests. Pixel tags. A pixel tag is a transparent graphic image, sometimes called a clear GIF, web beacon or tracking beacon, placed on a web page or in an email, which indicates that a page or email has been viewed. In addition, a pixel tag may tell your browser to get content from another server. We also automatically collect your IP address or other unique identifier (“Device Identifier”) for the computer, mobile device, technology or other device you use to access the Quiztory service. A Device Identifier is a number that is automatically assigned to your device when you access a web site or its servers, and our computers identify your device (including its location) by its Device Identifier. We use the information we collect about and from you for a variety of business purposes, including, for example, to deliver rewards, respond to your questions and requests; provide you with access to certain areas and features of the Quiztory service; communicate with you about your account and activities using the Quiztory service and changes to any of our policies; tailor content, advertisements, rewards and offers we serve you; improve the Quiztory service; to process applications and transactions, and for our internal business purposes. In addition, we may use your Personal Information for other purposes for which you otherwise provide your consent. We may also post on social networking or third party sites that you are using the Quiztory service, or post your comments or other submissions of the Quiztory service on such websites or on other media channels. If you provide us with any financial-related information to obtain products or services from third-party merchants through the Quiztory service, we will use the financial information you provide to bill you for those products and services. By submitting to us your credit card and related personal information, you are authorizing us to use that information, including by sharing it with the merchant and the credit card company, in order to confirm and fulfill your order. We will not otherwise use or distribute your financial information without your prior approval. Much of the information you provide us, including Usage Information, is information you are asking us to make public. This includes not only activities in which you engage in the Quiztory application, but also the metadata associated with those activities, such as the time you engaged in those activities. This also includes the advertisements you view and many other bits of information that result from your use of the Services. In order to carry out your requests, to make various features, services and materials available to you through the Quiztory service, and to respond to your inquiries, we may share your Personal Information with third parties that perform functions on our behalf (or on behalf of our affiliates). These may include, for example, companies or individuals that host or operate the Quiztory service, analyze data or provide customer service; advertisers; merchants, sponsors or other third parties that participate in or administer our promotions or provide marketing or promotional assistance; and partners in co-branded sites or sites that state that they are “powered by” either us or third party partners. We may also use your Personal Information or share it with our subsidiaries, affiliates, sponsors, partners, advertisers or other third parties to provide you with product information and promotional and other offers. You may always request that we not share your Personal Information with third parties. In addition you may request that we not send you information or offers, or that we not send you push notifications, emails, newsletters, or other communications. To make any such request send us an email at support@cepinconline.com. Your opt-out request will be processed within 30 days of the date on which we receive it. To modify, verify or delete any of your Personal Information that we have collected, contact us at the above email address. In accordance with our routine record keeping, we may delete certain records that contain Personal Information you have submitted to us. We are under no obligation to store your Personal Information indefinitely, and we disclaim any liability arising out of, or related to, the destruction of your Personal Information. Please note that it is not always possible to completely remove or delete all of your information from our databases without retaining some residual data because of backups and other reasons. Finally, please be aware that we do not control certain privacy settings and preferences maintained by our social media partners like Facebook and Twitter. If you wish to make changes to those settings and preferences, you may do so by visiting the settings page of the appropriate social media site. If you do not want to receive the benefits of targeted advertising, you may opt out of some network advertising programs that use your information by visiting the NAI Opt-Out Page at http://www.networkadvertising.org/managing/opt_out.asp . Please note that even if you choose to opt out through the NAI Opt-Out Page, you will still see advertisements while you're browsing online. However, the advertisements you see may be less relevant to you and your interests. Additionally, many network-advertising programs allow you to view and manage the interest categories they have compiled from your online browsing activities. These interest categories help determine the types of targeted advertisements you may receive. The NAI Opt-Out Page provides a tool that identifies its member companies that have cookies on your browser and provides links to those companies. We may allow you to refer friends to the Quiztory service via email and social networking platforms. If you refer a friend by email, we will collect the name and email addresses of proposed recipients to send the email on your behalf. We may also use your name and email address in order to identify you as the initiator of the email. Please inform your friends that we may send them emails on your behalf. We take information security seriously, and we use reasonable security measures to help protect against the loss, misuse or alteration of your Personal Information. Please note, however, that we cannot ensure the security of any information you transmit to us or that we store. You use the Quiztory website, mobile app, or service and provide us with your information at your own risk. Because protecting the privacy of young children is especially important, the Quiztory service is not directed to children under 13. We do not knowingly collect, use or disclose personally identifiable information from anyone under 13 years of age. If you are under 13 years of age, please do not use or access the Quiztory service at any time in any manner. If we become aware that we have unknowingly collected personally identifiable information from a child under the age of 13, we will make reasonable efforts to delete such information from our records. The Quiztory service may contain links to external third-party sites that we do not own or operate. This may include links from advertisers, sponsors and/or partners that may use our logo(s) as part of a co-branding or co-marketing agreement. We do not control, recommend or endorse and are not responsible for these third-party sites or their content, products, services or privacy policies or practices. These other sites may send their own cookies to your device, they may independently collect data or solicit Personal Information and may or may not have their own published privacy policies. You should also independently assess the authenticity of any site which appears or claims that it is one of our services. We operate the Quiztory service in the United States. Our use of your information necessarily involves the transmission of data on an international basis. If you are located in the European Union, Canada or elsewhere outside of the United States, please be aware that information we collect may be transferred to and processed in the United States. By using the Quiztory service, or providing us with any information, you consent to the collection, processing, maintenance and transfer of such information in and to the United States and other applicable territories in which the privacy laws may not be as comprehensive as or equivalent to those in the country where you reside and/or are a citizen.